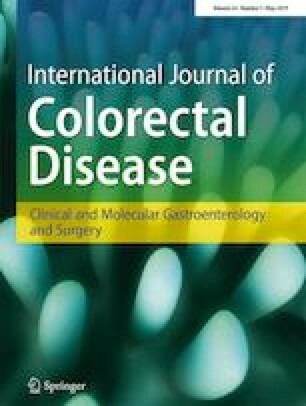 Low anterior resection with coloanal anastomosis (CAA) for low rectal cancer is a technically difficult operation with limited data available on oncologic outcomes. We aim to investigate overall survival and operative oncologic outcomes in patients who underwent CAA compared to abdominoperineal resection (APR). The National Cancer Database (2004–2013) was used to identify patients with non-metastatic rectal adenocarcinoma who underwent CAA or APR. Patients were 1:1 matched on age, gender, Charlson score, tumor size, tumor grade, pathologic stage, and radiation treatment with propensity scores. The primary outcome was overall survival. Secondary outcomes included 30-day mortality and resection margins. Following matching, 3536 patients remained in each group. No significant differences in matched demographic, treatment, or tumor variables were seen between groups. There was no significant difference in 30-day mortality (1.24% vs. 1.39%, p = 0.60). Following resection, margins were more likely to be negative after CAA compared with APR (5.26% vs. 8.14%, p < 0.001). When stratified by pathologic stage, there was a significant survival advantage for individuals undergoing CAA compared to APR (stage 1 HR 0.72, [95% CI 0.62–0.85], p < 0.001; stage 2 HR 0.76, [95% CI 0.65–0.88], p < 0.001; stage 3 HR 0.76, [95% CI 0.67–0.85], p < 0.001). Patients undergoing CAA compared with APR for rectal cancer have better overall survival and are less likely to have positive margins despite the technically challenging operation. This work was presented as a podium presentation at the American College of Surgeons Clinical Congress, October 22–26, 2017, San Diego, CA. All authors had substantial contributions to design of work, drafted work, made final approval, and agreed to be accountable for all aspects of the work.